Do you love eating Doritos but don’t love all the processed ingredients in them? 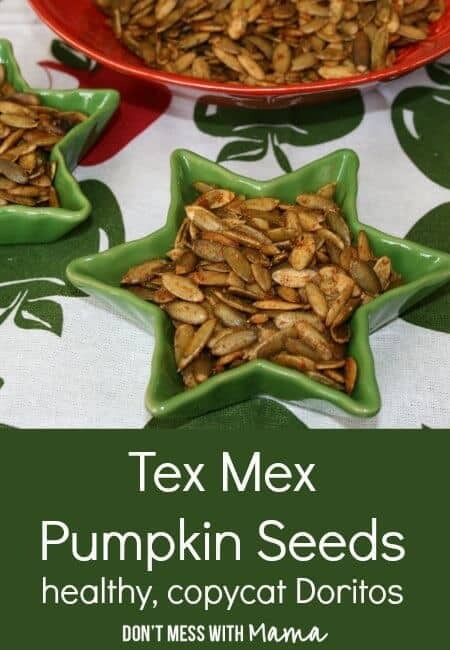 Try these healthy copycat Doritos instead – Tex Mex Pumpkin Seeds. Do you love eating Doritos but don’t love all the processed ingredients in them? While there are some natural options you can find in the grocery store, I found an EASY way to make a snack that tastes just like Doritos but much healthier. Faux Doritos – yum! My kids love snack foods – especially tortilla chips with a Mexican-food-inspired flavor. I’ve been using my dehydrator a lot lately to make dried fruit and dehydrate my soaked nuts. 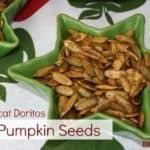 As I was dehydrating pumpkin seeds for my Paleo Maple Nut Trail Mix, I thought pumpkin seeds had the perfect crunch for a healthy copycat Doritos recipe – but without corn, grains or artificial ingredients or preservatives. Have you ever gotten sick from eating too many nuts? That’s likely because the nuts were not properly soaked to remove the enzyme inhibitors and phytic acid – which can cause digestion problems and could lead to other digestive health issues. I recommend soaking the pumpkin seeds overnight to remove the enzyme inhibitors and phytic acid to improve digestibility of the seeds. Just a solution of salt water can activate the enzymes that turn off the enzyme inhibitors in the seeds. In fact, this process of soaking and dehydrating seeds have been done by Central Americans for centuries. Did you try these healthy copycat Doritos – Tex Mex pumpkin seeds? Don’t forget to rate the recipe and comment below to let me know how it went. You can also FOLLOW ME on Facebook, Instagram and Pinterest to see what other fun things I’m getting up to. 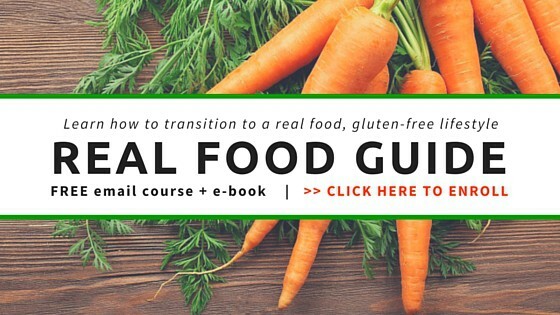 Do you love eating Doritos but don't love all the processed ingredients in them? 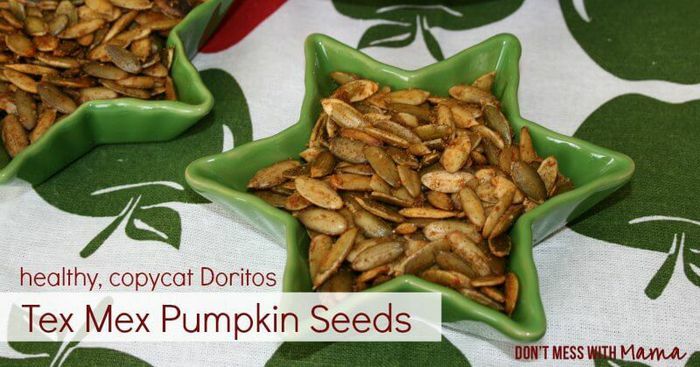 Try these healthy copycat Doritos instead - Tex Mex Pumpkin Seeds. Soak pumpkin seeds in water and 1 tsp Celtic sea salt overnight (or about 8 hours). Rinse and drain pumpkin seeds, then set aside in a large mixing bowl. Add the remaining ingredients to pumpkin seeds and mix well. Line dehydrator tray with dehydrator sheets. Spread mixture on tray. You may need 2-3 trays to evenly spread the mixture. Dehydrate at 115 degrees for 2-3 hours or until dry. Do you shell them somehow or just use them rinsed and straight from the pumpkin? I don’t have a dehydrator, is it possible to make these in the oven? Yes! Just use the lowest setting in your oven and cook for 6-8 hours. These sound delicious and thanks for the info on soaking I had no idea!